Suisei no Gargantia is a science fiction series not about space aliens or a technological regressed Earth, but rather about rediscovery. It’s about rediscovering humanity, self, and life and one of many things that make it such a palatable title in spite of its many shortcomings. Within anime, the sci-fi genre is one of the most diminutive, yet fastest growing categories that ultimately remains uninspired from its emergence in the 80’s to 90’s. With many greats that have passed through its hallowed halls such as: Macross, Crest of the Stars, the Gundam Series, and others; the tried and true formula never seems to get old, but has seem to have lost some of it’s luster it once had in my eyes. However, the Spring 2013 season manage to recapture a good amount of my affection and enthusiasm; with a few series that were both reminiscent of many of the old-school series as well as inventive by design. Suisei no Gargantia is one such title in the sci-fi department that fits the description perfectly as it whisk away 16 year-old Ensign, Ledo from his combative life in space within the Galactic Alliance trying to deal with space aliens known as “Hideauze” to a more youthful version of the Earth, a place only heard of from legend and where the story and his transformation begins. 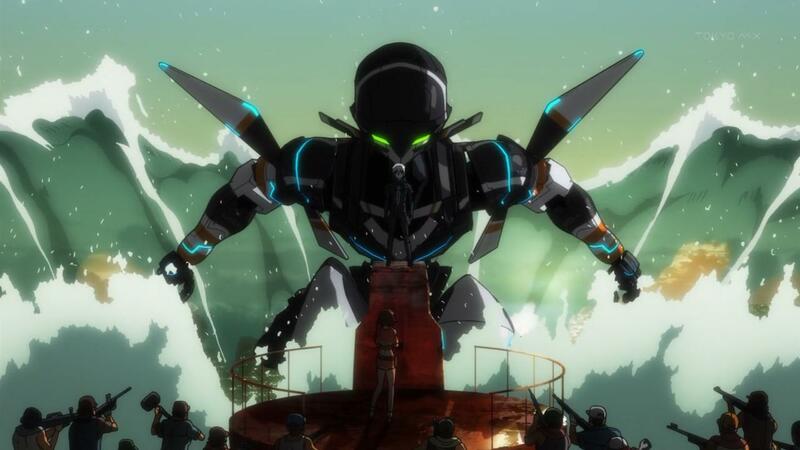 Throughout its 13 episodic cycle, Gargantia does more than sufficient job of immersing the viewer into its world that is just visually stunning as it is and does create a feeling of ascertainment. This feeling and detail of ascertainment is especially important for Ledo, as he tries to adjust to a world that is unknown to him and think that the episodes are very consistent with this idea and shows as it progresses. With that being said, I am surprised that writer Gen Urobachi had frame the series as such, since he wanted to target this toward “those in teens to 20’s who are either about to enter into society or recently have” and ” meant to cheer them on and to encourage them that going out into the world isn’t scary”. Comparing this statement against the show itself, I can see how this idea manifest itself within the series and quite an admirable and ingenious way to frame it. However, since Urobachi is not the primary writer for the series and it does changes hands between four others, the tone that it sets feels split and inconsistent with what exactly the series wishes to do. This feeling is very short-lived as the series progresses and doesn’t necessarily compromise any interest, but is rather awkward form a directorial sense. Other than that, the series is quite fine, especially within the area of characterization which is another positive. 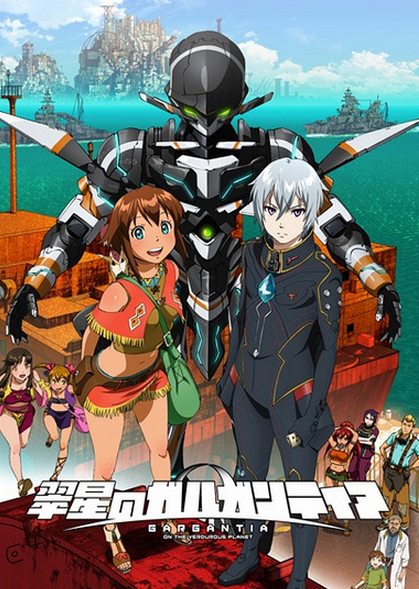 While Ledo is the main subject of the series, it doesn’t neglect other members as much as I thought it would and actually does very well with fleshing out characters like: Ridget, Pinion, and Chamber that carry the main themes of leadership, personal growth, and experience home just as Ledo does as well as humanity and the difference between peace and war. These things are not immediately apparent, but very woven and cloistered into it. In addition to fitting into the shows theme and creating an appealing cast, it aids in advancing the story where it would otherwise fall into dead spots. This happens somewhat often since the series usually resorts to using drama and other techniques to maintain its interest before any of the key developments are revealed. I definitely have mix feelings if it is effective, but it did manage to keep my attention, despite its anticlimactic or rather short-sided resolution – which again, is another area where the show seems to have minor directorial issues. 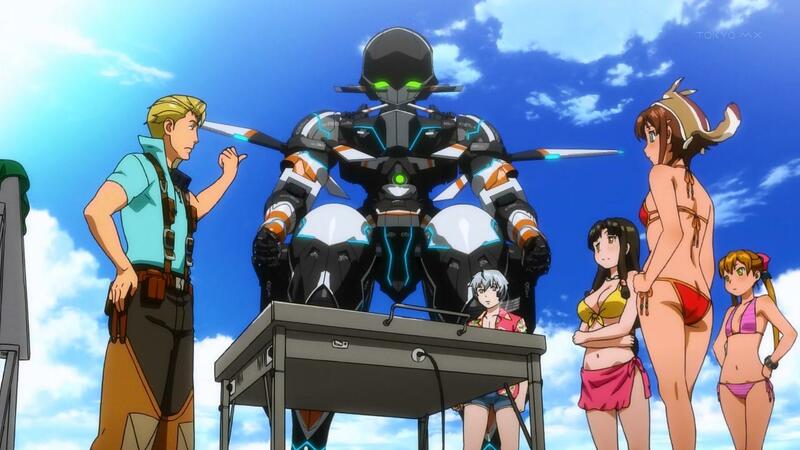 As aforementioned, Production I.G as both production and animation studio makes the world that Gargantia inhabits both aesthetically pleasing and exotic. 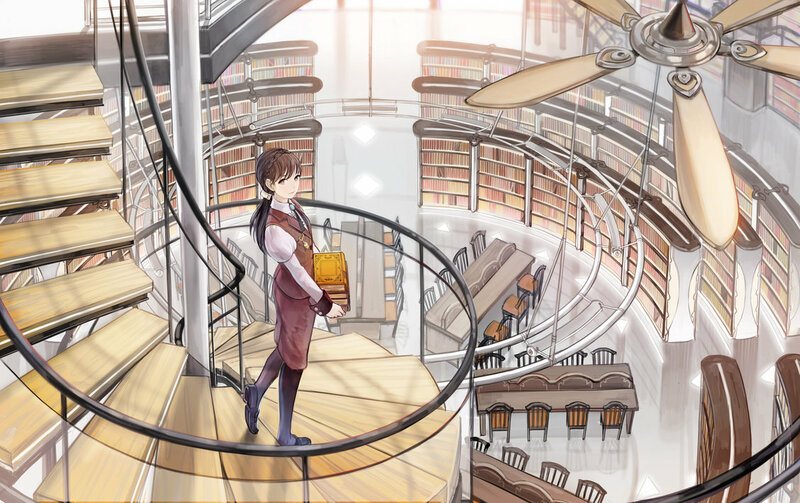 This is thanks in part to Hanaharu Naruko (author of Kamichu) that brings the same vivid backgrounds and well-drawn characters that he is known for into this series. Again, it is a very nice compliment to the feeling of the unknown and discovery that the series perpetuates and very nice choice. On the hand, as far as art goes, the music – soundtrack is severely lacking in my opinion. Taro Iwashiro, did great work in the movie Red Cliff and also for the Rurouni Kenshin film, but seems to a world apart from his usual repertoire that by comparison is more subdued and meek. It sort of fits in, with a nice film-like feeling, but also somewhat awkward in some parts where it could be more forceful and smooth rather than acquiescing into the background. Overall, Suisei no Gargantia is not perfect, but also not shabby where it counts and definitely worth it if you are a science fiction fan. It tackles the genre a little differently, yet at the same time, also brings about some familiarity if you are well-versed to titles that came about in the 80’s to late 90’s. Unfortunately, if you are looking for some the hallmarks most science fiction series carry, it is in short supply. Suisei no Gargantia is a science fiction series not about space aliens or a technological regressed Earth, but rather about rediscovery. It’s about rediscovering humanity, self, and life and one of many things that make it such a palatable title in spite of its many shortcomings. Pros: excellent world-building and exotic setting, characterization and development, unique take on the science fiction genre, vivid and bold artwork. Cons: sub-par soundtrack, tone seems inconsistent in some areas. I think the fact that Urobuchi didn’t completely worked on the story kind of made it inconsistent. But still, I enjoyed this show because it had a very interesting setting and character development despite being light on the robot fighting… Then again, the interesting twist on the science fiction on this show was fascinating. Yeah. I am sure if he did it would of turned out better. However, I also like it and how it did seem to be more than the typical sci-fi experience of aliens and the whole stereotypical shebang. 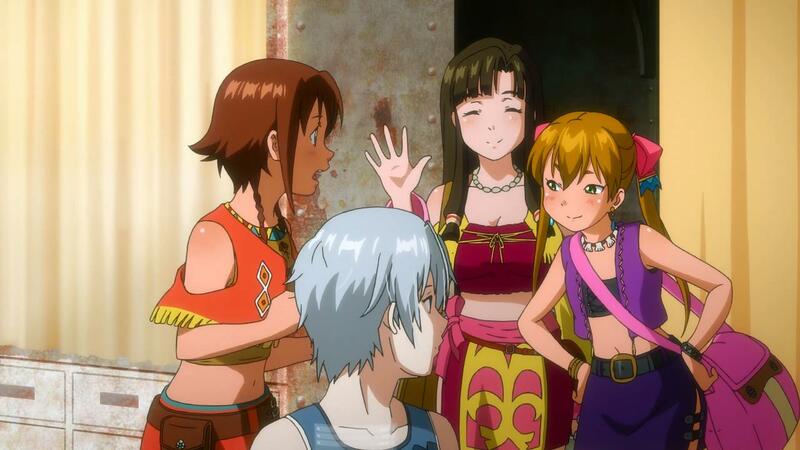 Gargantia is indeed quite good with it’s introduction to it’s world and settings, though I find the beginning parts a bit draggy, even if it’s for the purpose of world-building and characterizations. The ending is great though, almost perfect even and that last line of Chamber, I might even list it as one of the best quotes in 2013 anime. I thought the ending was rushed, and it didn’t really fit with the themes that had been addressed in the rest of the show. It’s not that it didn’t work at all, but everything up until that point had been about humanity, so throwing in a robot overlord in the final episodes felt like a copout. I guess I just wish the conflict had a bit more of a gray area instead of a clear cut good-and-evil. *A bit of spoilers ahead* I like how there was a some sort of resolution and conclusion at the end, instead of an open end. To the very end, he couldn’t return to space, a thing that he didn’t feel comfortable with, but finally did at the ending, and even settled in Gargantia. 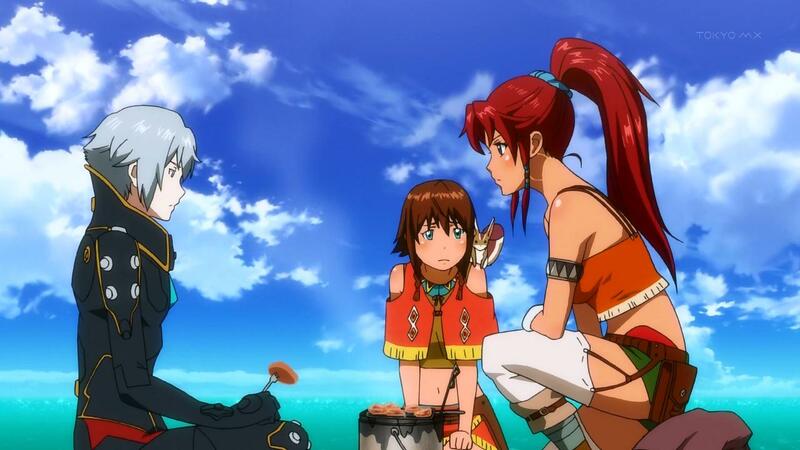 Also, throughout the anime, Ledo was very aggressive towards the Hideazue, but the ending showed that peaceful coexistence between the humans and the whalesquid is a possibility. I have mixed feelings about the world building as well, but feel that is mostly due to Gen only writing the 1st and last episode. The ending was okay, but the more I anyalze the ending along with Chambers quote, it kinda changes my mind. I could of sworn I heard it before from somewhere, but yeah, it fitted the show very well.